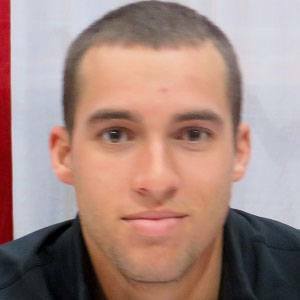 Outfielder who was named World Series MVP after leading the Houston Astros to the franchise's first ever championship in 2017. He was drafted by the Astros in the first round of the 2011 MLB Draft. He attended New Britain High School before transferring to Avon Old Farms School in Avon, Connecticut. During his stint in the minor leagues, he was named Texas League All-Star Game MVP and Texas League Player of the Year for 2013. He had a stellar college career at the University of Connecticut, winning Baseball America Freshman All-America First Team, Big East Rookie of the Year and Big East Player of the Year Honors. His mother Laura was a gymnast and his father George played in the 1976 Little League World Series. His sisters, Lena and Nicole, were college softball players. He got engaged to Charlise Castro following his World Series win in 2017. They got married in 2018. He joined All-Star second baseman Jose Altuve in Houston in 2014.